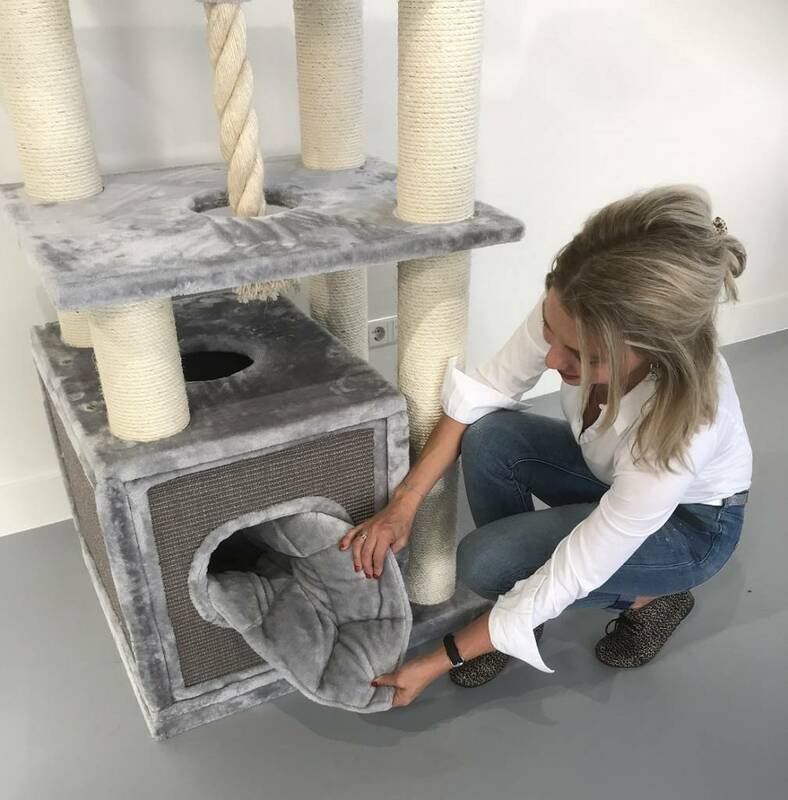 The scratching post for big cats Cat Relax Light Grey of RHRQuality is a paradise for cats and is very big and sturdy with Ø12cm sisal poles and 64KG total weight. 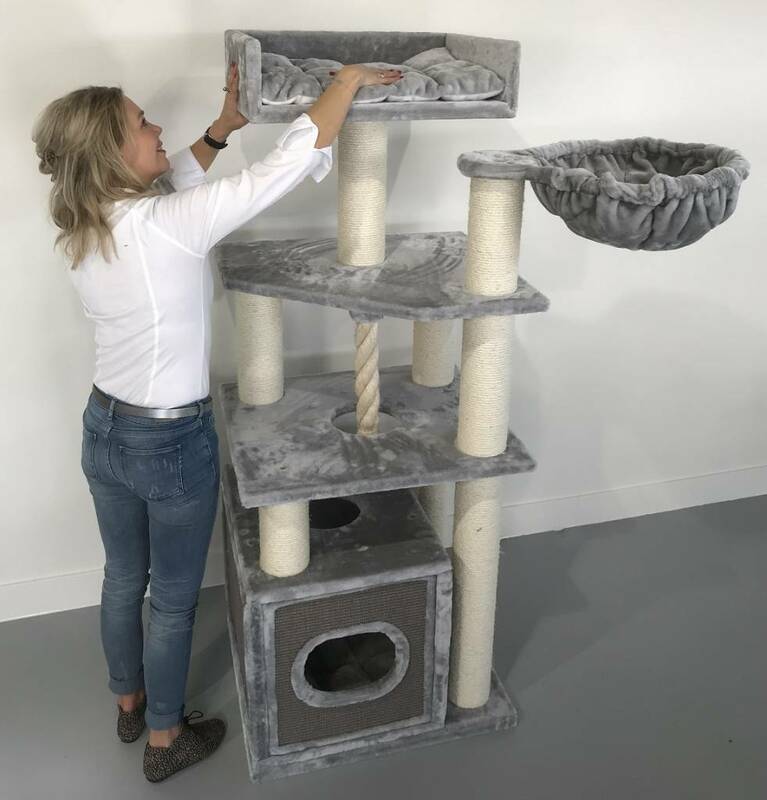 The scratching post Cat Relax Light Grey of RHRQuality is a paradise for cats and is very big and sturdy with 12cm thick sisalpoles and 64KG total weight. 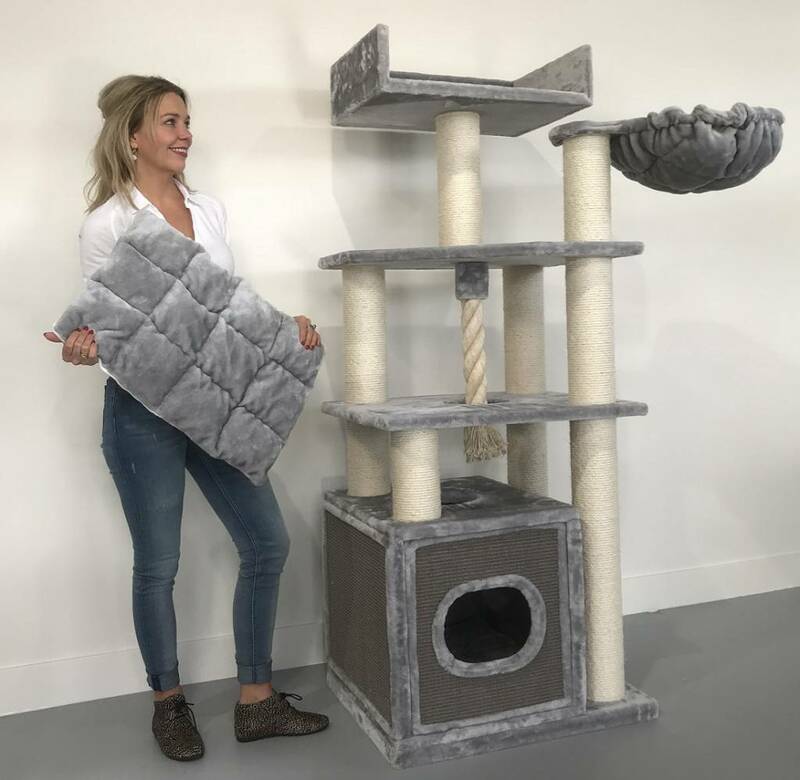 The special hammock at the top (combination between a hammock and a cushion) is 45 cm in diameter and tested to a weight of 20 kg. 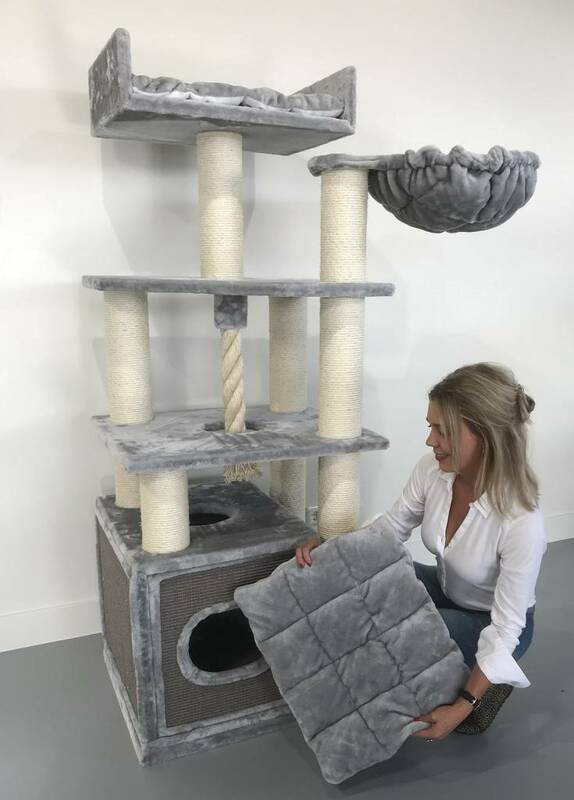 - Extra thick super soft plush with a thickness of 600gr / m2 has been used (normally about 280gr). It is also very important that the plush is glued to all parts, making it extra strong. 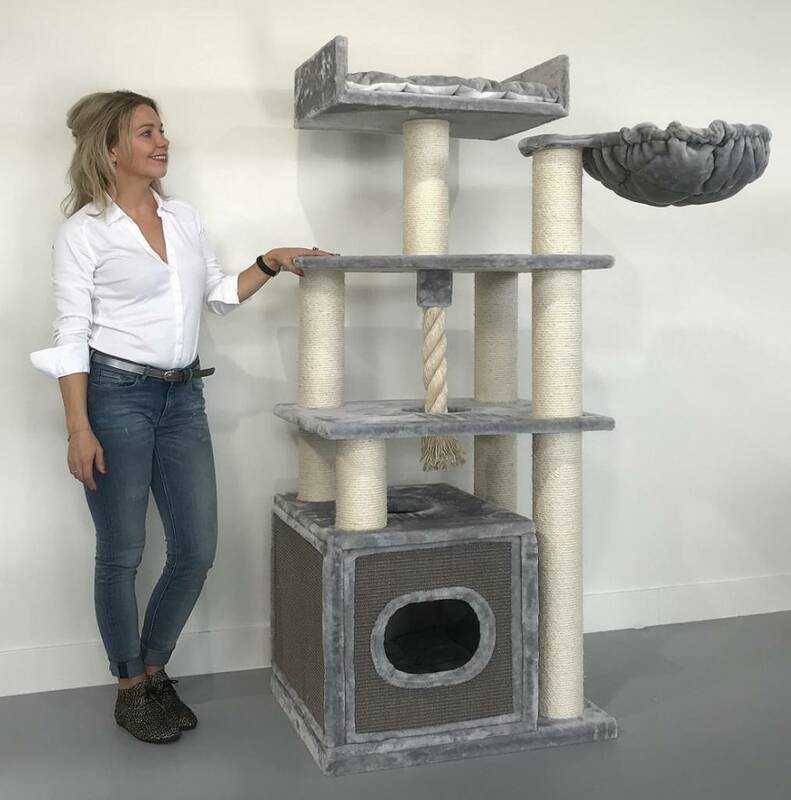 - This scratching post is more than 60KG total and mega sturdy. 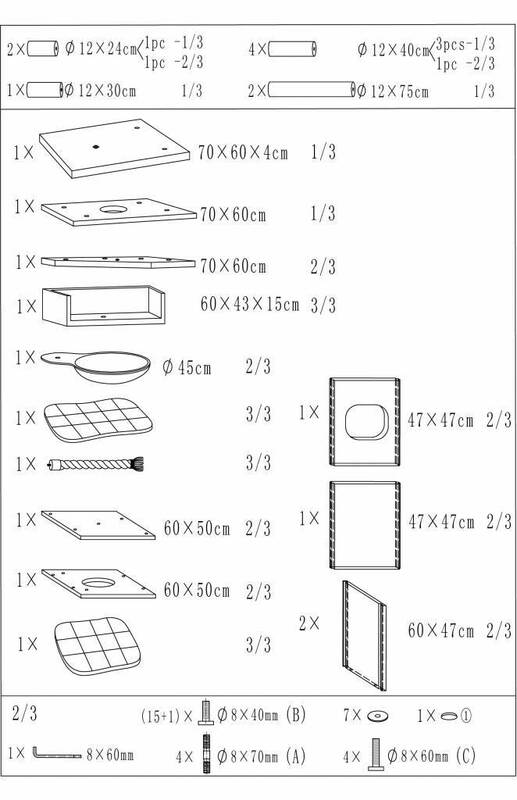 Required minimum: 70 x 60cm (with hammocks turned inwards). 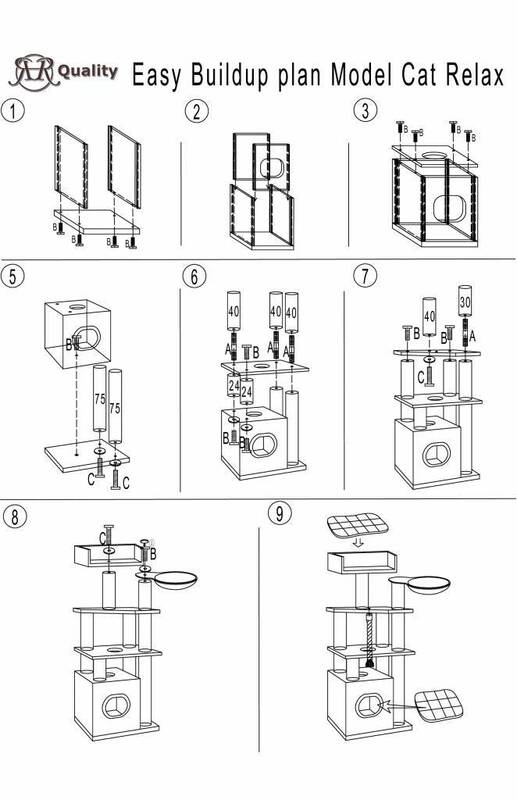 Playhouse: 50 x 60 x 50cm. Covered outside with sisal cover. Holes front 25x18cm oval. Hammock: Rotatable and 45cm lying area and tested up to 20kg carrying weight. New model 2018. Combination so hammock and pillow. 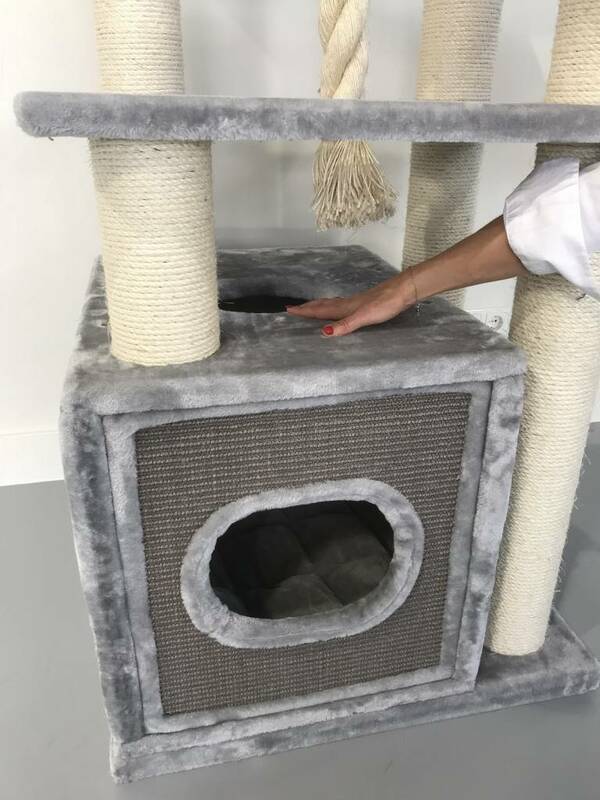 This RHRQuality scratching post is delivered in 3 boxes. Unique: With all scratching posts from RHRQuality you can reorder the parts.